More than 200 investors from 25 countries are participating in the two-day meet being hosted by the government. The government is expected to take this opportunity to call for investment in eight identified major areas. It is hoped that the foreign investors will be forthcoming in this connection. The Ministry of Industry, the Investment Board Nepal and the National Planning Commission are jointly organising the event. Industry Minister Nabindra Raj Joshi said the summit was being organised to promote Nepal as an important destination for foreign investors. "It is important to attract a large amount of foreign investment to fund the construction of various infrastructures necessary for the country's development," he explained. “Through the conference we are trying to give out a message to the world that Nepal is a suitable destination for investment,” Chief Executive of the Investment Board Nepal, Maha Prasad Adhikari said, highlighting the main objective of the conference. Adhikari is also hopeful that some investors will commit for investment in the conference. Businessmen and investors from China, US, European countries, Gulf countries and some African countries, besides the countries of South Asia will participate in the mega investment summit. Industrials and businessmen from within the country, representatives of foreign business organisations, diplomatic missions and non-governmental organisations and donor agencies will be among the 600 or so people attending the conference. 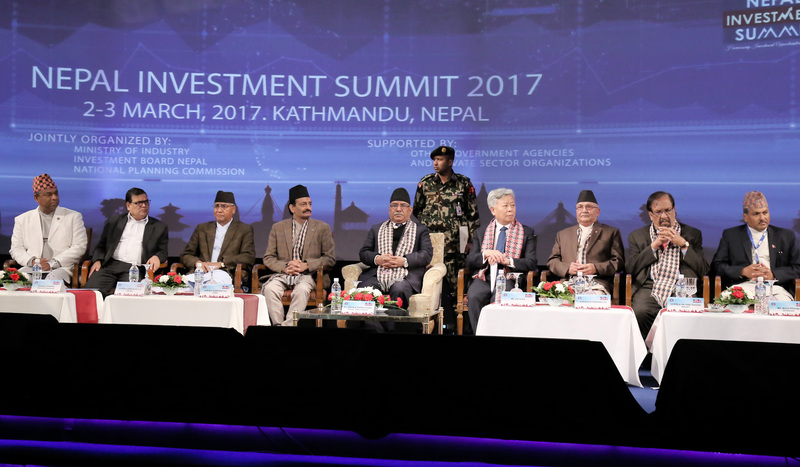 At the summit, the investors from all over the world would be briefed about Nepal's improved investment climate. It may be noted that following the passage of a number of new laws, government policies have become more investment friendly and the summit aims to disseminate this message to the potential investors. “This conference is organised to send out a message to the prospective investors that the country is already poised towards the ‘second generation reform’ of economic development with political issues already having been settled,” Director General of the Department of Industries, Pradip Koirala, said. According to Koirala, with the new constitution institutionalising the federal democratic republic and the multi-party parliamentary system of governance, the political issues are already settled. The country is now expected to see political stability and policy consistency and now is the time for economic development. The investment climate was not sound in the preceding two decades due to the perpetual political instability and policy inconsistencies. There was frequent change of governments which resulted in policy inconsistencies in terms of investment. Without any iota of doubt, investment, especially foreign direct investment, could not be conceived of in such situation. The government has passed and introduced key legislations over the last couple of months for promoting foreign investment climate. These legislations include the Industrial Enterprises Act, the Special Economic Zone Act, the Foreign Investment and Technology Transfer Act, the Intellectual Property Rights Act and the Company Act. Koirala is confident this conference will help instill a sense of confidence in the investors and project prospective sectors for investment. The eight major areas identified for investment in the conference are agriculture, banking and finance, energy, information and communication technology (ICT), production based sector, mines and mineral, tourism industry and transport. The conference will see presentations made and deliberations held on various aspects of investment in these sectors. The government hopes to attract maximum foreign investment in these sectors. And the government would like to cash on it by projecting during the conference what is on the table for investment, the investment opportunities and the investment policy. The investment in the agriculture sector could be in fertilizer industries, irrigation canal, agricultural roads, electrical power for agriculture, agriculture financing, agricultural machinery, inputs and technology and seed production. Insurance sector has been identified as the potential area for investment in the banking and financing sector. Given the insurance penetration of only 1.31 per cent in Nepal, this sector offers huge opportunities for investment. There are 26 insurance companies and one re-insurance company in the country at present. 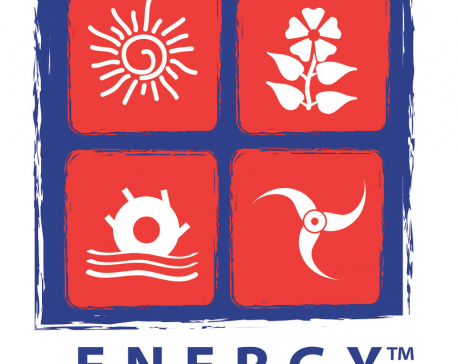 The one sector with high potential for investment is the energy sector. There is particularly high potential for foreign investment in the hydropower sector. Apart from hydropower, there is a window of opportunity for investment in the solar energy, wind energy, biomass and geothermal energy sectors. Under the information and communication technology sector, there is much prospect for investment in the business process outsourcing and information technology service,software development, digital content development, mobile application development, internet service provider, the online payment infrastructure and services, and internet data centre, among others. The other sector that has been identified for foreign investment is the production-based industries as fast moving consumer goods, garment, cement, pharmaceuticals and iron and steel industries. Similarly, six sub-sectors have been identified as potential investment areas under the mines and mineral sector. These include metal-based, non-metal based, fuel minerals, gemstones and construction minerals. Tourism is another area which has high potentials to attract foreign investment. Hotel industry is highly prospective. Foreign investment could also come in travel agency, tour operator and trekking and rafting agencies. Transport is another sector that has been identified for opening for foreign investment. This sector offers much opportunity for investing in big infrastructure projects as highway, airport and railway construction and development of urban transport. The government has sought the collaboration and support of the private sector for having the participation of the foreign investors in this highly important conference. Private sector organisations such as the Federation of Nepalese Chambers of Commerce and Industry (FNCCI), the Confederation of Nepalese Industries (CNI) and Nepal Chamber of Commerce are coordinating and facilitating in the conference. They have a great role to play in ensuring the maximum participation of the foreign investors in the conference.